Resonantia contains 100 original patches and 22 variations for Chromaphone 2 by AAS. Resonantia is a sonic universe in which the laws of physics apply and dissolve at the same time. This soundset explores the second version of Chromaphone in depth, making extensive use of the new resonator models, the updated FX section, the unison-mode and the arpeggiator. Pushing the boundaries of consonance and dissonance, expressive chromatic percussion sounds and catchy plucks meet futuristic drones and otherworldly cinematic textures, edgy unison leads and punchy bass sounds clash with mellow pads and hybrid fantasy instruments, microtonal textures from a different world unite with hypnotic pads and ethnic percussion. A wide array of timbres suitable for a broad range of musical styles is waiting for the Chromaphone connoisseur. As the Midi controller assignments for aftertouch and the modulation wheel can only be assigned globally in Chromaphone 2, many patch descriptions in the preset browser (and the patchlist) contain suggestions for controller assignments, expanding the sonic possibilities of this unique instrument even more. You can view/download the PDF for Modelled Reality with more details, the licence agreement and the patch list including playing tips and descriptions for each patch here. 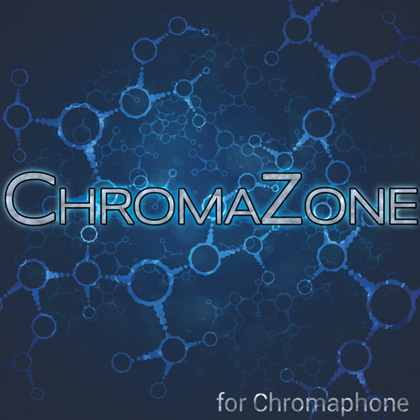 NOTE: Resonantia requires the full version of Chromaphone 2. It does not work with the AAS Player or Chromaphone 1. 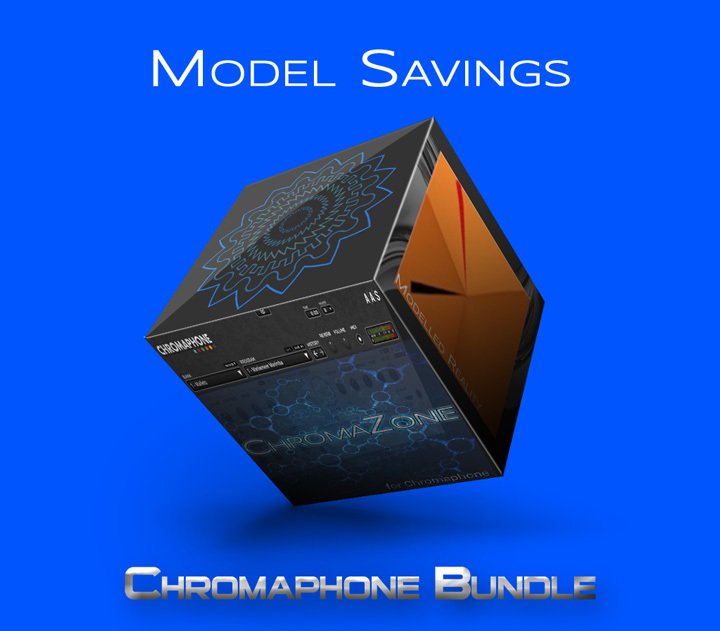 All demos were produced entirely with Chromaphone 2 using only patches from Resonantia, no post-processing was applied apart from a limiter on the master output and some volume automation, if several instances of Chromaphone were used in a demo. Please allow me a few hours to manually process your order and send you the order confirmation including the zipped soundset. 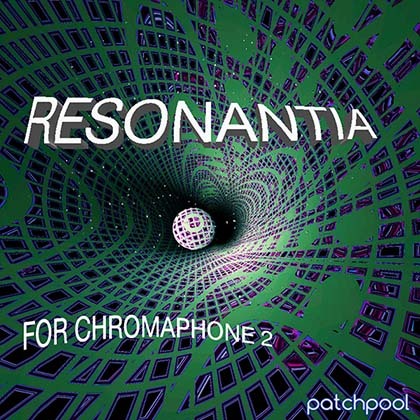 NOTE: Resonantia requires the full version of Chromaphone. It does not work with the AAS Player. This soundset contains 100 original patches and 13 variations for Chromaphone by AAS. “...This is an absolutely stunning soundset. Wow! Really, really beautiful. Please allow me a few hours to manually process your order and send you the soundset via Email. 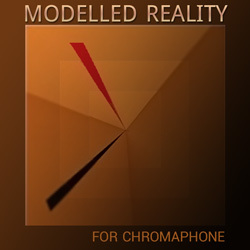 NOTE: Modelled Reality requires the full version of Chromaphone. It does not work with the AAS Player. 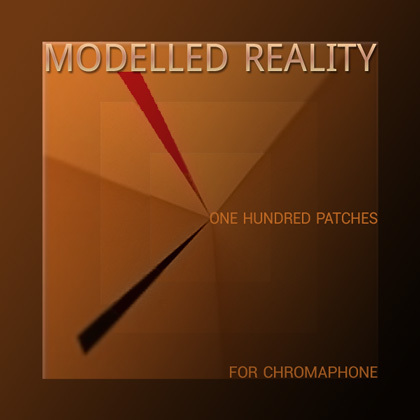 All demos were produced entirely with Chromaphone using only patches from Modelled Reality, no post-processing was applied apart from a Limiter (PRO-L) on the Master Outs. Very few demos use some external Reverb (B2) as stated in the track titles. NOTE: Modelled Reality requires the full version of Chromaphone. It does not work with the AAS Player. This soundset contains 100 original patches and 22 variations for Chromaphone by AAS. I focussed on emulations of known and and unknown instruments like mallets, bells, chimes, plucked strings, keyboards, hybrid strangers and percussive sounds as well as experimental patches, lush pads, dark drones, beautiful textures, funky synths and funny noises. As soon as AAS updates Chromaphone to add Pitchbend, Microtuning, Aftertouch and whatever else I will add these controls to the patches and all customers will receive a free update of ChromaZone. Combining materials like metal, skin and wood with elements like air and articulations like beating, plucking and bowing can create physically modelled instruments that are hard to describe with words. Although they might sound familiar due totheir "organic" nature, words sometimes fail to describe what they "really are" and how they actually sound. Quite a few of these hybrid strangers are included in ChromaZone. Chromaphone is advertised as a percussion synthesizer which in my opinion only covers a smaller aspect of it's virtues. Physical modeling has been rivaling with conventional sampling for years in terms of emulating "realism". The creation of sonic "surrealism" based on organic sounding materials is a far more powerful aspect of this technology and Chromaphone in particular. You can view/download the PDF for ChromaZone with more details, the licence agreement and the patch list including playing tips and descriptions for each patch here. 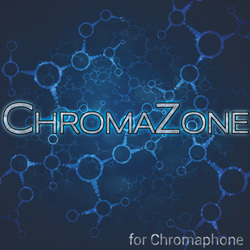 WSM (Wusik Sound Magazine) published a review of ChromaZone (written by Jeffrey Powell) which you can read here. All demos were produced entirely with Chromaphone, no post-processing was applied, just a Limiter (PRO-L) on the Master Outs. If I used all internal FX in a patch and wanted to add some Reverb I used a tad of VRoom. Only one demo uses a long, prominent VRoom space and another one is processed with UberMod as as stated in the title of the demos. Get THREE soundsets for only € 52 EUR.